Earth Tales! 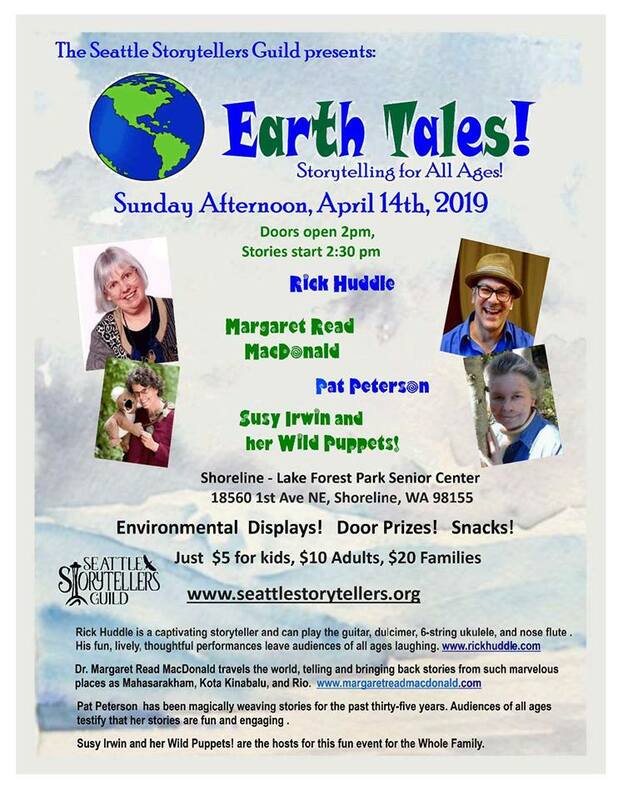 A storytelling event for the whole family on Sunday afternoon, April 14, 2019 at the Shoreline-Lake Forest Park Senior Center. We have Rick Huddle from Oregon, a storytelling musician who has performed in many school assemblies, Margaret MacDonald who tells lively world tales, and Pat Peterson - a grand dame of the storytelling world. Hosted by Susy Irwin and her Wild Puppets! Bring the family for a day celebrating our own Earth! Admission: $20 for families, $10 adults, $5 kids.